October 3, 2013, we took the train to Bayan Nur city in Inner Mongolia. After 14 hours of travel, we arrived in Linhe District at 3:40 a.m. Ren Wenlian’s younger brother warmly received us. Ren Wenlian’s Father, Ren Jinbao. 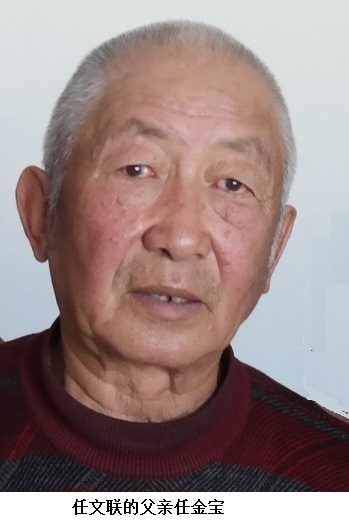 Ren Wenlian’s father, Ren Jinbao (任金宝), is 75 years old this year. He is kind, down-to-earth, and open-minded. He has six children. His wife already passed away many years ago. The two eldest daughters farm at home. The third daughter is a middle school teacher. The fourth daughter died of a brain tumor in 2013. The eldest son, Ren Wenlian, did the best in school and had the best prospects of getting into Peking University. He was the pride and hope of the whole family. The younger son graduated from a local university and currently works at the Linhe District People’s Political Consultative Conference. This son’s family of three takes care of his father. Mr. Ren recalled vividly Ren Wenlian’s visit home on May 1, 1989. He and Wenlian talked about the situation at that time, imagining a good future. Mr. Ren told his son to study hard and give back to the motherland in the future. Who would have thought that the farewell that time would be an eternal parting? A month later, news of his son’s death struck this old man like a bolt of thunder. For a time it was hard for him to accept the fact—it was a serious psychological blow. Later, consoled by his other children, he gradually broke out of grief. The younger son brought his father to the city and cared for him meticulously. At the same time, Mr. Ren, in order to reduce the burden on his children, exercised every day. What a wonderful father! 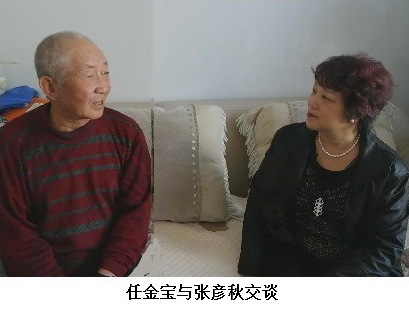 With the filial piety and loving care of his children, he did not feel lonely anymore and waited through these long years for the day when justice will be served in his son’s case. We could see that this elderly man is enjoying his later years in the loving care of his children. We are sincerely grateful. On the second day, we paid our respects at Wenlian’s grave, accompanied by his family. Ren Jinbao and Zhang Yanqiu. 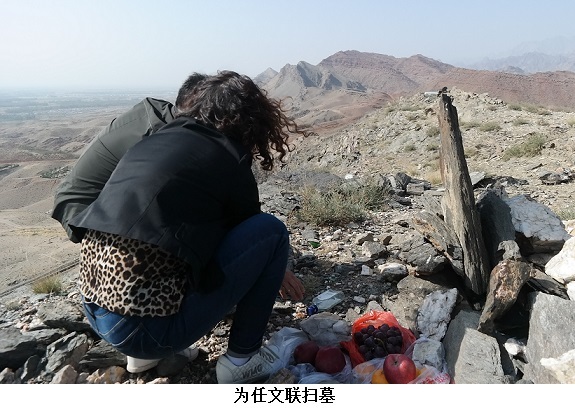 Ren Wenlian’s grave is in the suburbs of Bayan Nur city, in the suburb of Wulate Houqi in the Yin mountain range. We climbed over mountain after large mountain, walking along winding paths. After more than an hour on this challenging route, we finally arrived at a sunny hilltop. Wenlian’s family buried him on this mineral-rich mountain, used a piece of rock as a tombstone, and gathered other pieces as a burial mound so as to express the sadness for Wenlian’s unrealized hopes. A mining major at Beijing University of Science and Technology, he had planned to return home to work hard after graduation, determined to give back to his motherland by working in the mining industry. There are many types of graves in the world, but you probably have never seen such an unadorned yet magnificent grave. Everyone came before the grave. The family members put out many types of fruit, lit several cigarettes, and burned paper money. We, as representatives of Tiananmen Mothers, presented a bunch of fresh flowers. The whistling of the mountain winds accompanied the calls of the family, and the light smoke drifting in the wind carried away everyone’s unbounded longing and grief. Young one, rest in peace. We wish you an eternal sleep in your homeland, without pain or grief. The family so thoughtfully returned the deceased to nature. Facing this grand and solemn scene, we were tremendously moved. Let us forever engrave in our memory that an ambitious young man is buried in a unique grave on the northwest frontier of our homeland. Ren Wenlian (任文联), male, a first-year student at Beijing University of Science and Technology, from Linhe, Inner Mongolia. He was shot in the head in the early morning of June 4, 1989, on Chang’an Avenue at Liubukou alley. In addition, the left side of his chest was crushed and one of his arms was broken. He died at Beijing Jishuitan Hospital. He was only 19.